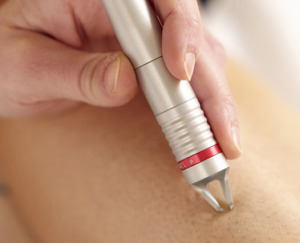 Lasers can also be used to treat varicose veins or spider veins (thin red lines or web-like networks of blood vessels that appear on your legs and feet). A beam of concentrated light is sent into the veins, causing the vein die. After time the veins will slowly fade and disappear.